Magento is a user friendly eCommerce platform that offers greater flexibility and scope for SEO of websites. Today Magento is the leading platform hosting numerous successful eCommerce websites. Because of this there is a high demand for Magento developers in the market. By using Magento design, shops have a powerful way to market their products worldwide. Along with having a good design, website running on Magneto platform needs to employ search engine optimization techniques. This finally helps the website to stay at the top in the search engine results. SEO for eCommerce websites is time consuming and needs target oriented SEO skills. But if you have right guidance and enough knowledge, you can effectively optimize the Magento website. Below are some of the points needs to be considered to have a best Magento eCommerce store. Next you have to wisely choose the modules for your website. The modules you choose should help you do SEO. One can find some of the modules on Magento Connect. The first step involves choosing the right website template for your Magento site. The template use for the website should support easy website navigation. 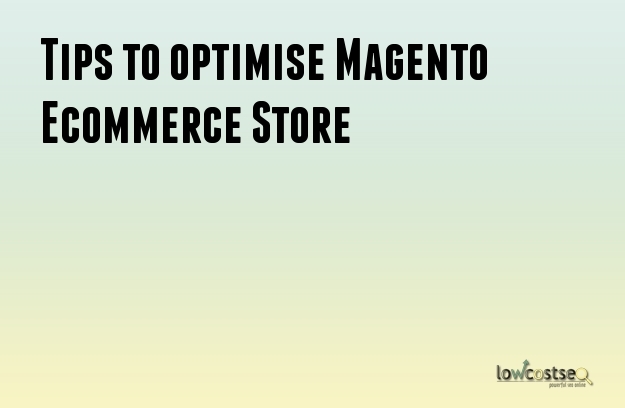 This is one of the important elements of optimizing a Magento website. Managing Magento Admin effectively requires one to check various SEO parameters on the backend. One of the basic SEO Technique is to turn off the ‘Add code to URLs’ function. This makes URLs organic and SEO friendly. Along with this make the URLs contain relevant keywords to get recognized by search engines. Magento uses a default Meta tile ‘Magento eCommerce’ which you have to change. One can make the change by following the below steps. Each page needs to have page title and SEF URL Identifier along with good content. Next, click on Meta data tab and type in description for each page. This will make your CMS pages rank good by the search engines. Make sure you give accurate descriptions with targeted and relevant keywords. Use specific tags, this allows the users to search products easily in the website. In addition ensure that the web address you choose is easily understood by users. If website is easy for navigation, users save time and be free of frustration. Image optimization using ‘Alt’ tags,Heading tags, H1,H2, H3 etc is also a part of eCommerce website optimization. The techniques discussed here are simple ones. There are other SEO techniques that could require expertise of SEO experts. Moreover, proper design of the website is also necessary to make a Magento eCommerce website SEO friendly.